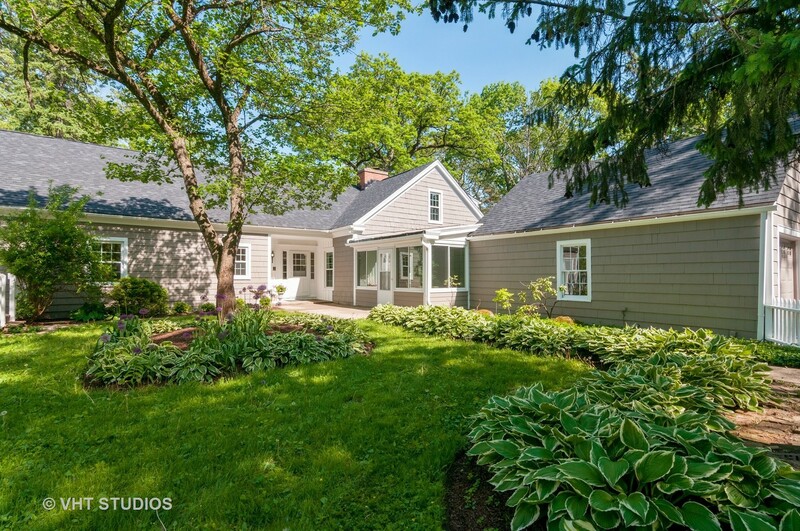 Secluded & Tucked away with mature wooded and winding driveway gives a true sense of staycation! Main floor offers a bed & breakfast decor with exposed 2-story white beam ceilings, all glass windows & sliding doors to a large wrapped around porch, stone fireplace; updated 2 bedrooms/ 1.1 baths, living room, dining room, sun room, kitchen, mud room, study/cigar room. Second floor has 2 additional bedrooms/1 bath, hobby room, & loft. Partially finished basement. Attached 2 car garage. New updates included: Roof, Windows, Sidings, Garage doors, Baths, Kitchen with SS appliances & granite counter tops, White Moldings & Trims, Copper pipes & fittings. Dual Central HVAC units, Water purifier system. Walking distance to Bartlett HS.